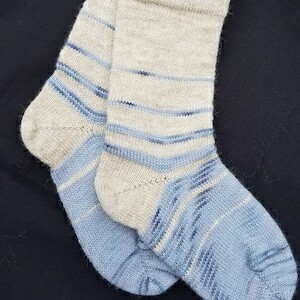 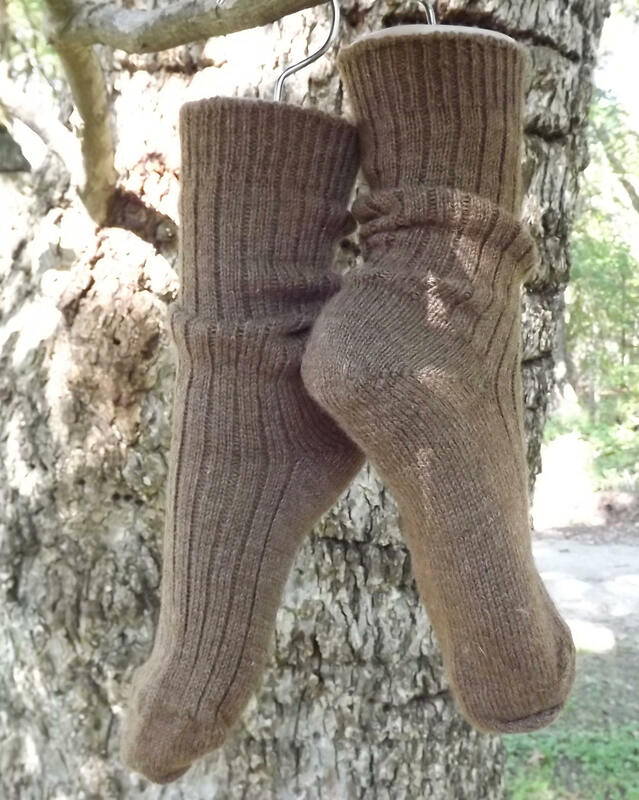 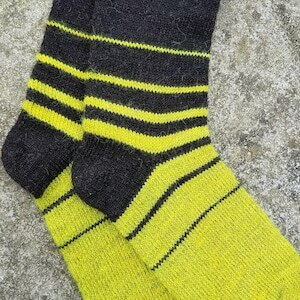 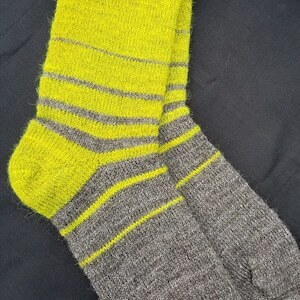 These Shepherd's Socks are a rare piece of clothing, in that they are knitted on the farm where the wool is grown. 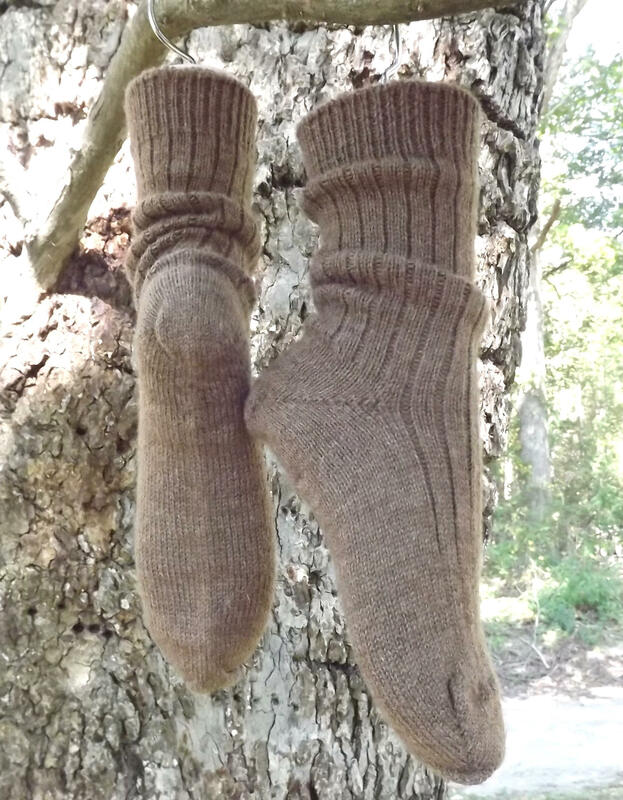 They are made one at a time on an antique sock machine made about the time our old farm house was built, 1910. 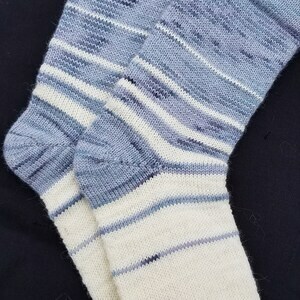 These machines produce socks with tiny even stitches that hold up very well. 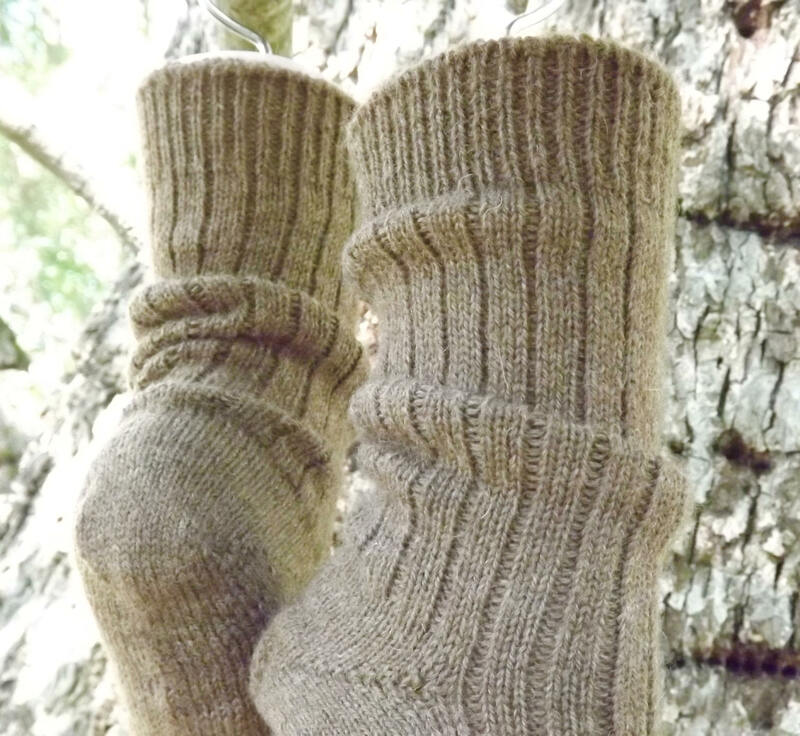 And the wool used is our Shetland natural colored wool we lovingly raise. 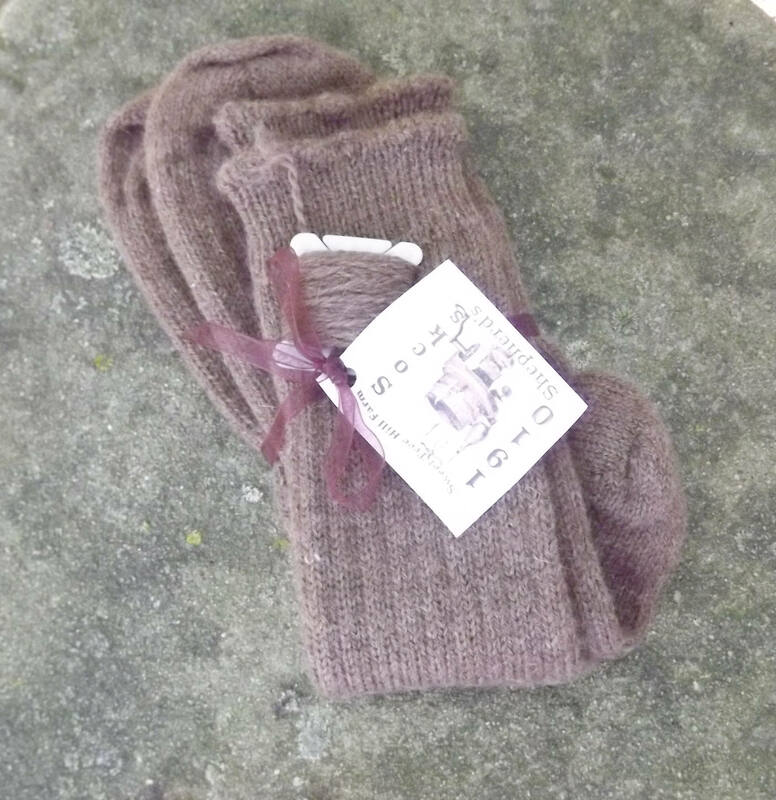 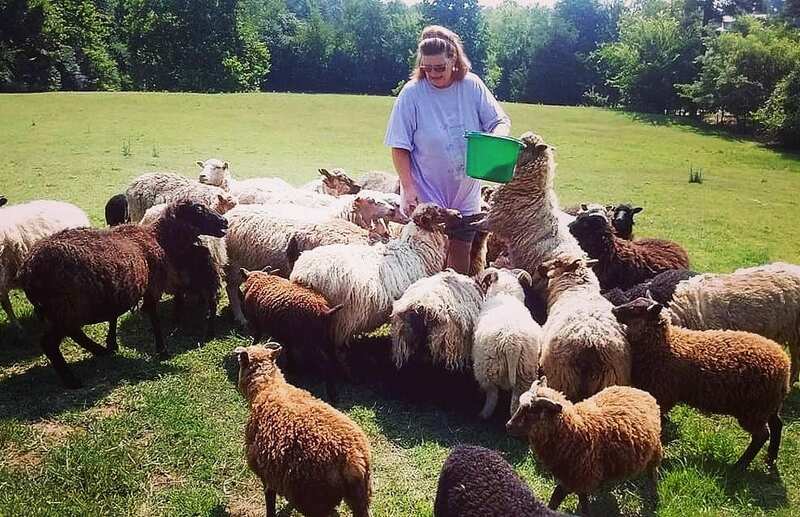 All of our sheep have names and our Moorit ewe Myrtle and Wether Banyan donated their fiber for your socks.